As always, finding a suitable art style is one of the most important aspects of creating The Colonist. As the game is only going to be short and mostly randomised there won’t be a lot of room for story building so it’s essential that I use the graphics to convey atmosphere and give the game a certain mood. This is also true for sound effects, which I’ve already started working on, but this post will focus on graphics. I’ve been messing around with some different styles for The Colonist for a while now – a big part of me wanted to make the game isometric – however, after playing with various techniques I’ve decided to stick to my overhead/top-down view. This not only supports my coding abilities but also gives me an opportunity to develop the style I found when working on Johnny Neo (that project is not dead by the way – just on the back-burner! ), I really like the style as it uses (mostly) a very simple and limited colour palette and allows me to get across my ideas without having to sacrifice on quality. In my book, games don’t need to have crisp 3D graphics to look cool – but – they must have a style of their own and also show that the artist or developer has put some serious effort into their work. 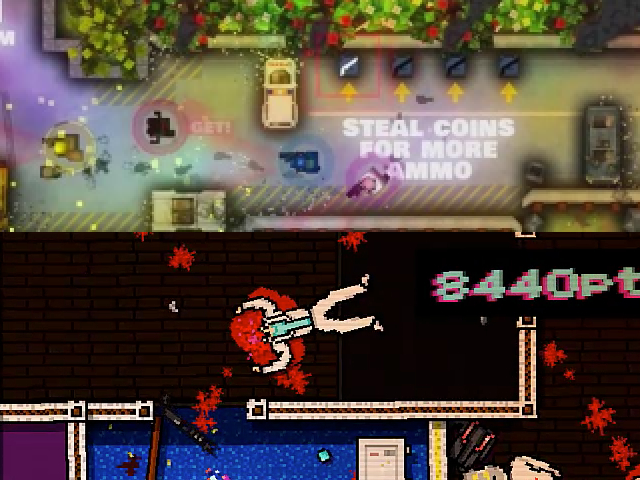 If you look at games such as Monaco or Hotline Miami, the graphics are fairly simple – but – the developers and artists have gone to great lengths to convey the mood of the game with their art style and that’s ideally what I’d like to emulate. Most of my art work is done on a mixture of Photoshop and the Game Maker built in spriting tool – the GM tool is actually pretty good for spriting and despite it getting a bum-rap I think it can produce some pretty cool graphics if you’re prepared to put in the effort! 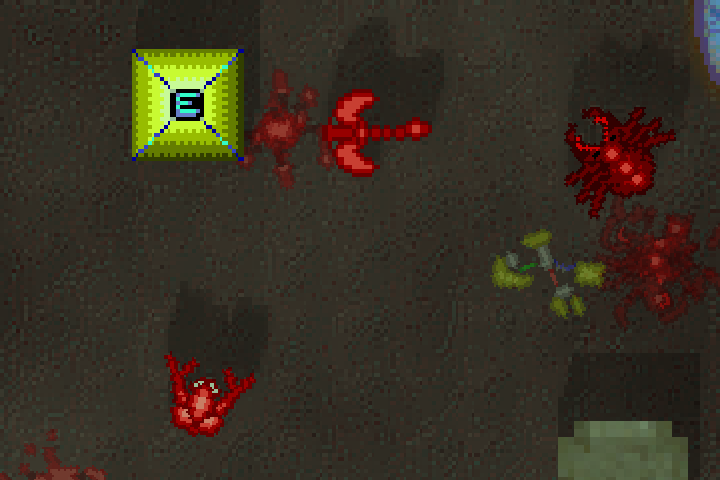 In combination with the smooth effects of the CBNA Smartlight engine, some carefully pixelled artwork, in a top-down style, can really look cool on the screen. As you can see, with some nice chunky pixels and a few smart-rendered shadows, the game is really starting to have a style of its own, whilst paying homage to the old-skool 16bit classics and delivering a nice retro atmosphere!